Well after the huge success made by the hackers to bring untethered jailbreak to iPhone 4S by using Absinthe jailbreak, so if you are a developer who needs some cool features in your iPhone then you will need a new and popular jailbreak tweak called Mobile Terminal which is a very basic package for all developers who have experienced or simply the need to give some instructions to your iPhone using some command lines. The file. 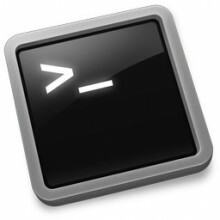 Deb Mobile Terminal ( download ). STEP 1: First you will have to see if you installed CoreUtilities open Cydia and moving in the management section. If you did not receive a dependency error when trying to install Mobile Terminal and the operation will be interrupted. STEP 2: Now launch Safari web browser Mobile Terminal.deb to download the file here . Then choose to open it with iFile when prompted. STEP 3: After iFile is opened you'll see a new pop-up. Click on "Install" and wait for the Mobile Terminal is installed on your device. STEP 4: Okay, almost done after the trial, made a respring or reboot the phone. 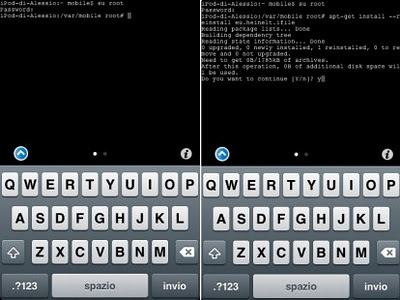 At this point you will be able to launch Mobile Terminal even on your jailbroken iPhone 4S!